Goodbox, a startup that connects users with merchants via an instant messaging app, has acquired loyalty cards management app Smartpocket for an undisclosed amount. The deal comes two months after Goodbox, owned by Bangalore-based Tsepak Technologies Pvt Ltd, raised $2.5 million (Rs 16.5 crore) in Series A funding from Nexus Venture Partners in November to expand its operations. Mayank Bidawatka, co-founder of Goodbox, told Techcircle.in that the Smartpocket team will work together with the company on devising and marketing loyalty management solutions. Kiran Shastri, CEO of Smartpocket, said the company wanted to create a marketplace with a focus on repeat business and customer loyalty through a digital wallet. "We will now look to bring that mindset, technology and expertise with us into Goodbox," he said. Smartpocket, operated by Findulum Techlabs Pvt Ltd, was set up in April 2014 by former Goldman Sachs employees Kiran Shastri and Mayank Shah as a mobile technology platform that connects offline businesses to customers. It can convert a mobile device into a singular channel for all card transactions by managing a user's loyalty cards on the phone. Smartpocket is now working towards an online wallet for customers to make online payments, place orders with offline partners as well as store all their virtual cards in one place. In February last year, Smartpocket had raised around $240,000 in seed funding led by early-stage investment firm Sol Primero and Arvind Group's Rajiv Mehta. 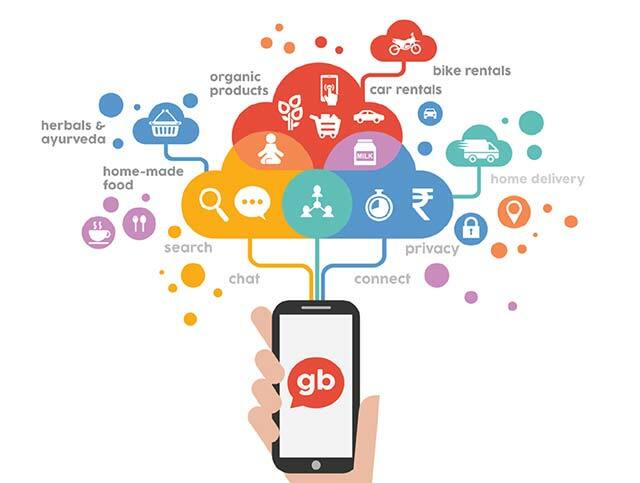 Goodbox was founded in 2014 by former redBus executive Abey Zachariah, his colleague Mayank Bidawatka and IIM Bangalore alumni Nithin Chandra, Mohit Maheshwari, Anand Kelaginamani and technologists Charan Shetty and Mahesh Herle. In May last year, Goodbox raised $200,000 (about Rs 1.3 crore) in seed funding from Manipal Media Networks. This was followed by the Nexus deal. Goodbox allows businesses to create a storefront on its app, similar to a real-world store. It enables merchants to chat with customers, upload their product/services catalog for search and discovery, take orders and accept payments. The company claims listings for about 100 categories. It is live in Bangalore with about 1,200 merchants. It works with restaurants, laundry chains, rental providers, movers and packers, canteens and salons, among others.